The Forum is an invitation-only series for nurses who also have a leadership role in healthcare transformation. 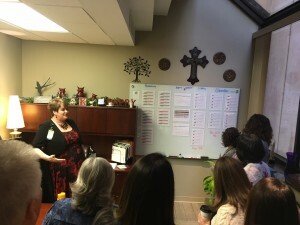 While nurse leader titles may vary, this forum is for leaders who are seeking to understand their roles, their scope of influence, and the mindset, skillset and toolset required for successful and sustainable lean transformation. The curriculum is a balance of individual work and self-discovery, interpersonal skills practice and team development and support. It is an ongoing network in which nurse leaders can learn, share and connect in a safe environment which they are co-creating. The Forum is anchored in the belief that transformation starts with the leader, and that lean is both a personal and an organizational transformation. Through the work of our CEO and Physician Lean Leader Forums, we have identified crucial leadership behaviors and competencies which are necessary to lead a successful and sustainable transformation. Nurse leaders have a unique and vital perspective in healthcare transformation, coupled with significant scope of responsibility across very large teams. This forum is intended to cultivate and support this perspective and the behaviors needed to accelerate organizational and industry change. Our faculty includes Dr. John Toussaint, Chairman of the Board at Catalysis, Julie Firman, Vice President/System CNO at Southern Illinois Health and other experts in the field of lean and organizational change. The Nurse Lean Leader Forum will meet twice a year. CME credits will be offered.